Our patent pending jewelry combines two storage compartments along with a USB Flash Drive for storing digital copies of photos, videos and audio recordings. 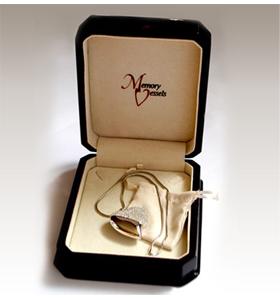 Unlike traditional keepsake jewelry that simply stores mementos, collectibles or cremated remains, Memory Vessels® also provide an opportunity to preserve and share the images and sounds of our lives. What Makes a Memory Vessel Unique? By inserting the Memory Vessel® USB Flash Drive into a standard computer port, videos, photos and recordings may be quickly uploaded from any computer to a Memory Vessel®. Filling the storage compartments is a simple process, especially since the openings are larger than standard keepsake jewelry. 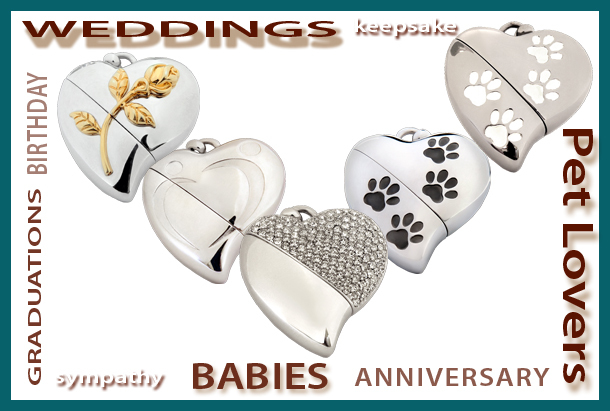 Our current designs measure 1 1/2″ X 1 3/4″ and provide two keepsake compartments suitable for storing mementos such as crushed flowers, rice, sand, hair or fur and other meaningful keepsakes.